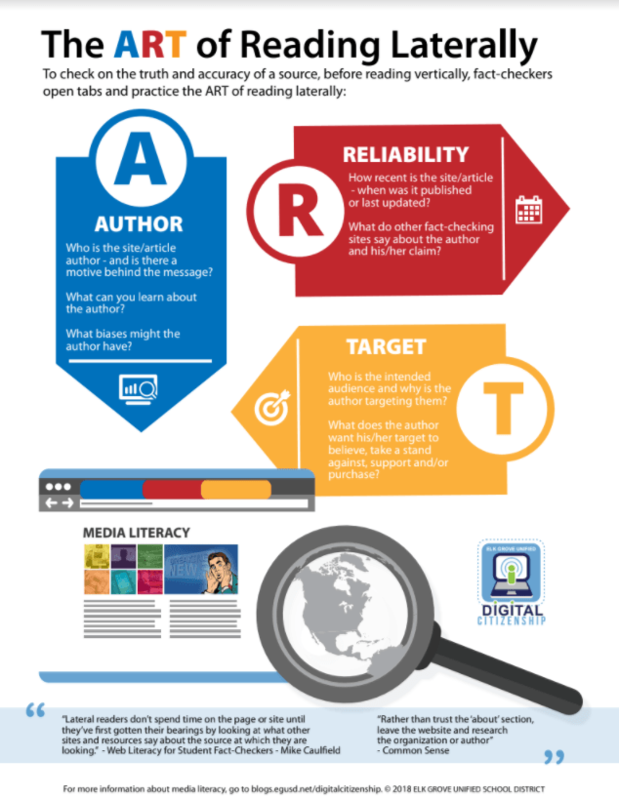 There are a number of definitions for “media literacy,” as you can see mentioned below. Each highlights the broadness of the topic. 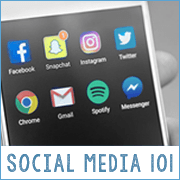 Through our research and lesson creations, we have come to realize that media literacy should not be added as a separate theme in our graphic/program, but rather as the overarching structure supporting our digital/global citizenship program. In an age of fake news, we recognize the need to integrate media literacy across subject areas and beyond the school day. We greatly appreciate the many educators and organizations that have stepped up to create and share the timely resources we have curated, such as the Media Smarts video – Reality Check – News You Can Use and the NY Times Learning Network resources below. Factitious – From JOLT (Innovation in Journalism through Game Design), “a game that tests your news sense.” Learn more about Factitious through this NPR article. *** The Digital Shift from Close Reading to Lateral Reading – Our students still need opportunities to practice their close reading skills, but they also need to develop their lateral reading skills, as YA author John Green explains. In this digital age, we have witnessed a shift, in that lateral reading should now proceed close reading. Since we could not find any existing lessons on lateral reading, we created Flex Your Fact-Checking Muscles: Read Laterally, which includes the infographic below. How Media Literacy Can Help Students Discern Fake News – From PBS, includes video of 3rd graders delving into media literacy. 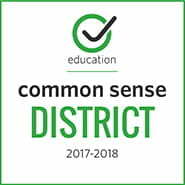 The Common Sense Education Media Literacy Toolkit contains resources (Videos, Lessons, Articles, FAQs, Posters) for students, teachers and parents. Propaganda Is All Around Us – Renee Hobbs has created a set of resources to help spot propaganda, an important component of media literacy. The Mind Over Media platform is also an invitation for teachers and students to submit examples of propaganda. Be on the lookout for our Media Literacy Workshop – Thinking Critically About the News/Media Literacy in a “Misinformation” Age. Note: Given the speed at which Media Literacy issues and resources change, we will be frequently updating this page. If you have resources you would like to share with us, please contact Gail Desler or Kathleen Watt.